No barrel gymnastics. No molten gold. 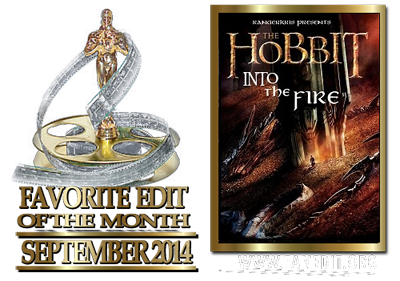 The Desolation of Smaug is Peter Jackson's adaptation of the middle third of JRR Tolkien's The Hobbit. Despite some incredible visuals and fine performances, it was too long and encumbered by many scenes that not only slowed the film, but also were completely invented for the film and deviated from the novel significantly. "Fire of the Dragon" is an earlier edit of this film, where I cut out all the extra made-up-for-the movie padding that stretched a perfectly good 2 hour movie into almost three. 'Dragon' was a version that didn't drag and had good pacing, and is what I feel the Theatrical cut should have been--I emphasize that because a lot of the material I liked from the actual movie and I felt made it entertaining (namely, the barrel fight and the dragon showdown in the end) are left intact in Dragon-- I just felt those made the movie more fun and gave it the feel of adventure it needed. However, I strongly agree with a lot of the criticism of both the original film and my first cut, in that these things (1) were a little over-the-top at times, and (2) still never happened in the book. So I decided to go ahead and make further changes to produce a "purist cut" of the movie. Instead of just being a watered down version of "Dragon", I trimmed more, reordered certain scenes, and made a new opening for it, as well as a new title. This is as close as Desolation comes to being a 'book' cut of Tolkien's the Hobbit. This cut has none of the zany dwarven antics of previous cuts and is strongly faithful to the novel (if you overlook Legolas, and Bard being a bargeman). It is different enough from previous versions that I felt comfortable giving it its own release-- 'Dragon' is 120 min (41 min cut) , Into the Fire is 98 min (63 min cut). This is a version I hope fans of the novel will enjoy, and is in many ways a better movie than "Dragon", narrative-wise. This is not an extended version. It has even MORE cut out of it than 'Fire of the Dragon'. kellenpure, moe_syzlak, ssj, Aztek463, Solid11, njvc, hasmak -- thank you for the support all along the way guys. This one's for you, as always. 1. The prologue with Gandalf and Thorin in Bree is deleted. 5. Entire scene of Tauriel and Kili, and Tauriel with Thranduil is deleted. There is no love triangle. 6. Shots of orcs ceeping up on Mirkwood are cut, making the orc attack more of a surprise. 7. Gandalf at the Nazgul tombs trimmed-- cut the lines "You're asking me to abandon my friends, etc." 8. Kili's arrow to knee is bound and never spoken of again. He's all better in this version. 9. Cut scene of Legolas & co interrogating an orc, as well as Bolg tracking dwarves. 10. Trimmed Laketown scenes for pacing. 12. Cut all scenes of Orcs attacking Laketown. 13. 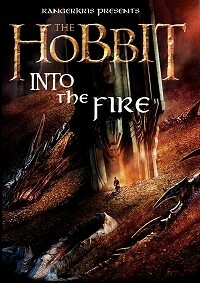 Gandalf vs Sauron, is kept in, but moved to before Bilbo enters Smaugs lair. 14. Entire Smaug sequence intact in one flow, except a brief cutaway for about 30 seconds where Bard tells his kids he'll kill the dragon and grabs the black arrow. 15. Cut scenes of Bard running around Lake town and getting arrested. 16. Cut Bilbo's last lines "What have we done". Last lines now Smaug's. 7. I see fire reinstated as end credit song, and disclaimer slide added. Not much to say that hasn't been already said. This is as close to perfection as a fanedit can get. The theatrical release made me sick to my stomach. This version, however, I loved. PLEASE do an edit of part 3 when it's released. What a fantastic edit! This is by far, to me, the best standalone edit of this film. The amount of bloat that exists in these films is absolutely shocking, and by trimming it to the breaking point you've exposed an exciting film that could have been. Quality is great across the board, video and audio. - I'm not a fan of how you open the film, with the group on the eagles. It feels how Battle of the Five Armies feels: Like that scene should've been at the end of the previous film. - Smaug breaking through the wall still just doesn't look right, even with the gold removed. It's definitely much better, and maybe knowing it's meant to be gold is making me feel this way, but I'd almost rather not see him break through the wall at all. Other than those two things I loved every decision, especially the way you cut the barrel sequence. This is a superior work, and definitely deserving of all of its rave reviews. 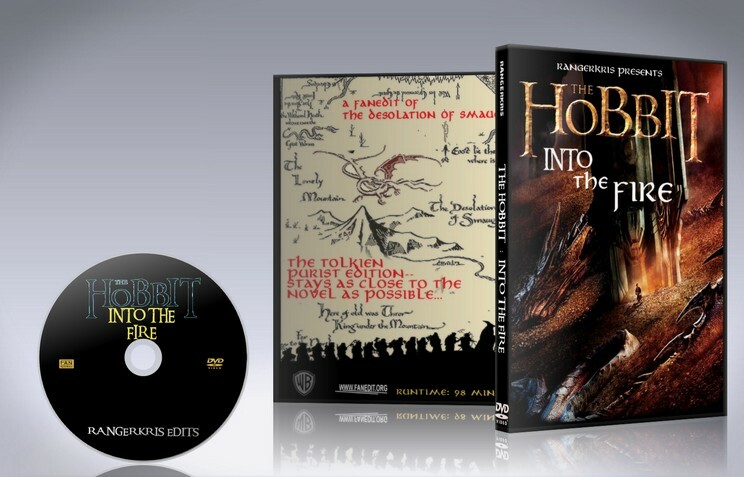 Personally I can not wait until Jackson's Battle of the Five Armies is available on DVD/Blu-ray - that way faneditors can be unleashed to put together an edit encompassing all 3 bloated Hobbit films into hopefully one epic movie. For now however, one could do far worse than check out Ranger's Into The Fire edit of the second movie. 63 minutes may sound like a lot to cut, but when watching this excellent exercise in how to save a movie, it becomes painfully clear just how bloated and overlong this needless trilogy of movies really are. Amongst the many improvements, I would single out the huge improvement of the barrel sequence which no longer feels like some CGI excuse to have Legolas leaping all over the show, and perhaps even better is the way in which the finale no longer has to subject us to more set-piece nonsense as the dwarves go through various levels in computer game fashion to douse Smaug in gold. Ranger's editing hand is invisible during these sequences - quite excellent work. I would like to thank you for the time, effort, and motivation that you displayed in completing this edit. I do not see how, based upon the limitations of Peter Jackson's work, it would be possible for a better version of this movie to be put together. I am an admitted Tolkien purist and while I find faults too numerable to list in Jackson's versions of The Hobbit and The Lord of the Rings you have accomplished something truly remarkable with this version of the film. Thank you for reducing Legolas' and Tauriel's roles, as well as Azog and Bolg, cutting the ridiculousness of the barrel chase, the absurdity of the Smaug chasing dwarves and being covered with gold, and most of all thank you for removing the asinine Kili/Tauriel love story. I almost exploded in the theater when I saw that. Overall, your edit is infinitely better than anything produced by Jackson and will find its way onto my shelf as the only version of DoS that I will watch. You truly did some remarkable work. Keep up the good work.